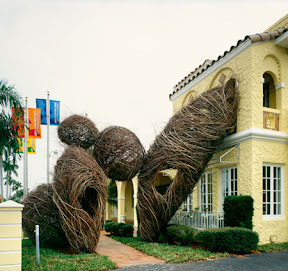 Patrick Dougherty studied English for his undergrad and then received another degree in Health and administration and then he studied art. This guy is one smart cookie. 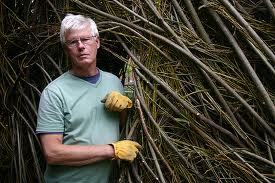 His art bio states, “Combining his carpentry skills with his love of nature, Patrick began to learn more about primitive techniques of building and to experiment with tree saplings as construction material”. His website also talks about how his process is inspired by wood working and nature and he is also interested in studying and implementing primitive building techniques, which I think is really awesome. 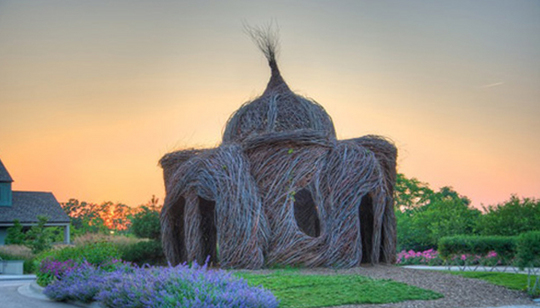 I love these whoville style structures! He is able to make something as stiff as wood, become so fluid and whimsical and he integrates his style with surrounding elements. 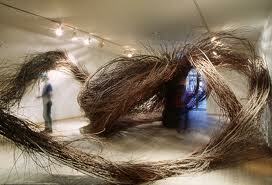 Blows my mind! 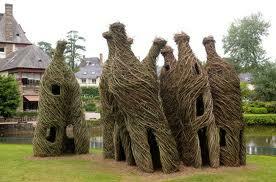 This entry was tagged Art, Contemporary, Patrick Dougherty, Structure, Wood. Bookmark the permalink.